THE HASHTAG FOR GRAND PRIX BIRMINGHAM IS #GPBIRM. JOIN THE CONVERSATION. Top pro Grzegorz Kowalski was running the consensus best deck, Grixis Delver, and even found space for the Forked Bolt which had been instrumental in his victory at Grand Prix Lyon just three months prior. Still he stood no chance against Gary Campbell. Campbell had brought Red Prison to the table, a deck which was all about exploiting Delver's weaknesses: its lack of basic lands coming costly against Blood Moon, its reliance on 1 mana spells a liability versus Chalice of the Void. No less important was that Campbell had the support of what seemed to be the entirety of the UK's Magic community. 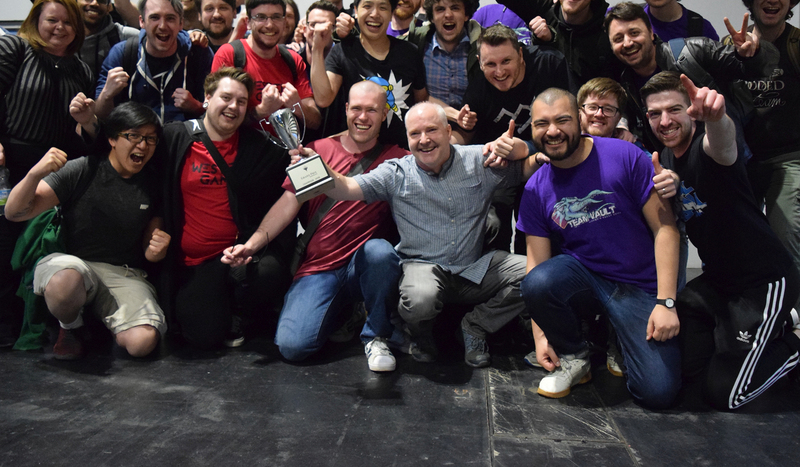 He had been a central figure especially of the Scottish scene for 25 years, from Prerelease to Pro Tours, and huge crowds gathered to watch his Top 8 matches. When Kowalski conceded the finals to Campbell, his fans went wild. There were cheers and tears, handshakes and hugs, and displays of emotion to warm the hearts of even the most cynical observer. Congratulations to Gary Campbell, Legacy champion of Grand Prix Birmingham 2018, leaving a lasting legacy for the history books of Magic! 1,200 players had come to Birmingham for the Legacy part of this double-GP weekend. After eight rounds, 220 of them qualified for the second day's competition, led by eight players with a perfect record of 8-0: Sebastian Finkes, Johan De Gruyter, Grzegorz Kowalski, Andrea Cibak, Lukas Muller, Grant Fishman, Guillem Salvador Arnal, and Sergio Ferrer Rozalen. The decks these eight had chosen were Czech Pile, Elves, Mono-Red Prison, Steel Stompy, and … four times Grixis Delver. It was going to be interesting to see whether or not Delver of Secrets would continue to put up such great results tomorrow. Tune back in for Day 2 of Legacy (beginning at 9:30 a.m. local time, unlike previously communicated) and have a good night until then!